Have you ever reacted poorly based on raw emotions, and then later regretted it? Or have you ever impulsively eaten something that didn’t align with your goals—based on emotion alone? Emotional intelligence is our ability to identify, evaluate, control, and express our emotions. It allows us to recognize and understand our own feelings, as well as the emotions of others. Having a high emotional intelligence allows us to align our behaviors with our values by understanding the critical piece that emotions play in decision-making. Not only that, but multiple studies have shown that high emotional intelligence is linked to success. The good news is, this capability is not some static, set-in-stone trait. You actually hold the ability to fine-tune your emotional intelligence. In this episode, I’m sharing ten tactics you can utilize to increase your emotional intelligence so that you can better relate to others, meet your goals, and reach higher levels of success. What emotional intelligence actually is. Four main components of emotional intelligence, and how they work. Which part of the brain functions as the emotional center. The two major reasons why we should aim to improve emotional intelligence. Why emotional intelligence is a better predictor for success than IQ (the research is shocking!). The difference between being busy and being effective. Why reading fiction can help develop empathy. What activities you can engage in to sharpen your cognitive control. The link between meditation and the ability to focus. What it means to be “tangry,” and how it can derail your goals. Why social media is not a substitute for actual social interaction. What proprioception is, and how you can improve it. How to practice delayed gratitude in order to regulate your emotions. The benefits of mindful eating. What adults can learn about emotional intelligence from children. Swanwicksleep.com/model ⇐ Use code SLEEPSMARTER for $5 off any frames! This episode is incredibly valuable because we're talking about a subject matter that controls every moment of our lives. You know, our experience isn't just what happens in the world around us, it's how we perceive it. You know? It's what's going on within our physiology, and this has to do with our emotions. And so what are these emotions, alright? This isn't just a Mariah Carey song. Alright? What are these emotions? Now here's the definition. It's a natural instinctive state of mind deriving from one's circumstances, mood, or relationships with others. Now this is an important seed that's getting planted, because this also has to do with other people. Being able to read, monitor, metabolize ourselves, and also influence others via our emotions. This is some very powerful stuff we're going to get into. Here's another definition. Instinctive or intuitive feeling as distinguished from reasoning or knowledge. So our emotions, which are very real, it's how we experience the world, have to do with instinctive information, instinctive data within ourselves, and also intuitive feeling. But we're going to today- because even that, intuitive feeling, it sounds fluffy. We're going to bring some science to this as well because it's real and it matters. But we're going to add layers so we understand the complexity, but also tactics. We're going to talk about ten specific tactics to help us to really maximize this concept of something called emotional intelligence. So what do our emotions indicate? This is an internal powerful feedback system that is helping to move us towards or away from things. That's what emotions are constantly doing, our feeling tone. It's this really powerful heavily evolved guidance system that we need to be able to pay attention to, and our ability to monitor and understand this feedback from ourselves- right? Our emotions and understanding the feedback and the emotions of other people is directly connected to the amount of success we'll experience in our lives, whether it's in our finances, our career, our relationships themselves, our health. Nothing impacts us more, because it's how we experience the world, than understanding our emotions and the emotions of others. This is a complicated topic because it dives in and looks at where are all these emotions actually housed in our bodies in a way? And it's not just in our brains, but this is kind of the governing system that's monitoring a lot of this data. And we have essentially three brains that have kind of evolved on top of one another, and the newest part is the neocortex, right? The new brain. And from there we have the limbic system, and from there, the basal ganglia. Alright? The basal ganglia, and this just sounds super primitive, alright? It controls thought, language, reasoning, right? Distinguishing between right and wrong, social control, decision making. Right? And weighing options, analyzing has a lot to do with this part of the brain, alright? The neocortex. So as far as our emotions are concerned, this has to do with consciousness, right? This is more conscious emotional context, meaning that we can basically draw from it at will. We can easily see it, analyze it, change it. Now from there we have the limbic brain. Now this is the system that's known as the emotional center of our brains. And it stores value judgments that we've made and memories of behaviors that produce positive and negative experiences. Because again, our emotions are designed to help to move us towards pleasure and away from pain. That's really what they're there to do, to monitor what don't I like, to move me away from those things, and to move me towards the things that I want and that I perceive as valuable. Now more than ever today, these systems can get a little bit gummed up because we negate our emotions. We negate how we feel, we actually don't pay attention to that internal guidance system, in lieu of thinking about what we should do, right? Using more logic and reasoning, which this is a valuable part of our brains for sure, but we can get the wrong data from that. Alright? We need to be able to have a term called 'whole brain learning.' Right? To integrating these systems and understanding the value of all of them so you can make a comprehensive better judgment overall. So again, limbic brain, this has to do with storing value judgments and also memories of behaviors that produce positive and negative experiences. Information in the limbic brain is largely subconscious, alright? So this is just below the surface of our awareness. And so this is not necessarily easily accessible and it can be a little bit misconstrued in our ability to perceive that data, alright? Now moving on, basal ganglia, alright? Basal ganglia, and this is at the root of the brain. This is our instinctual center, and here's an important takeaway to just take right off the bat. This part of the brain is not connected to the vocal centers of our brain, so it does not communicate in words, okay? This communicates in feeling. Direct instinctual feeling. And here's what's crazy, information from the gut travels directly to this primitive region in the brain without going through other brain regions that again, have to do with logic, have to do with vocalizing how we feel, alright? This is literally- that term 'gut feeling,' it's a very real thing. Now again, how often are you paying attention to your gut feelings? And how does this all integrate? Because information from the basal ganglia is mostly unconscious, this is just running in the back program, it's just running on automatic, and again, we generally can't easily access this information. And so overall, this is an important and incredibly valuable episode to dive into because why does emotional intelligence matter? Well being able to navigate this sometimes complicated terrain of relationships, and knowing that relationships impact our success more than any other thing, it can be complicated because there's so much variance in what that looks like. That's number one, to improve your state of success, to be able to process data feedback from your environment, from the people in your lives accurately, to make an accurate response, to not get yourself in just a whole world of pain, and suffering, and trouble because we're not reading that feedback. Okay? We might be giving somebody too much power over us and dictating our lives and what we're able to accomplish. And also we might be giving our subconscious or unconscious programs too much power over our lives because we're not accurately reading our own internal emotional feedback accurately. This is incredibly important stuff. And also why does emotional intelligence matter? Being able to make better decisions. At the end of the day, that's what this is all about. Making better decisions in what we eat, who we connect with, how productive we are, and how we live our lives overall. That's really at the end of the day what this is all about. Alright? So buckle in, alright? Get your seatbelt fastened because we're going to dive into that today. 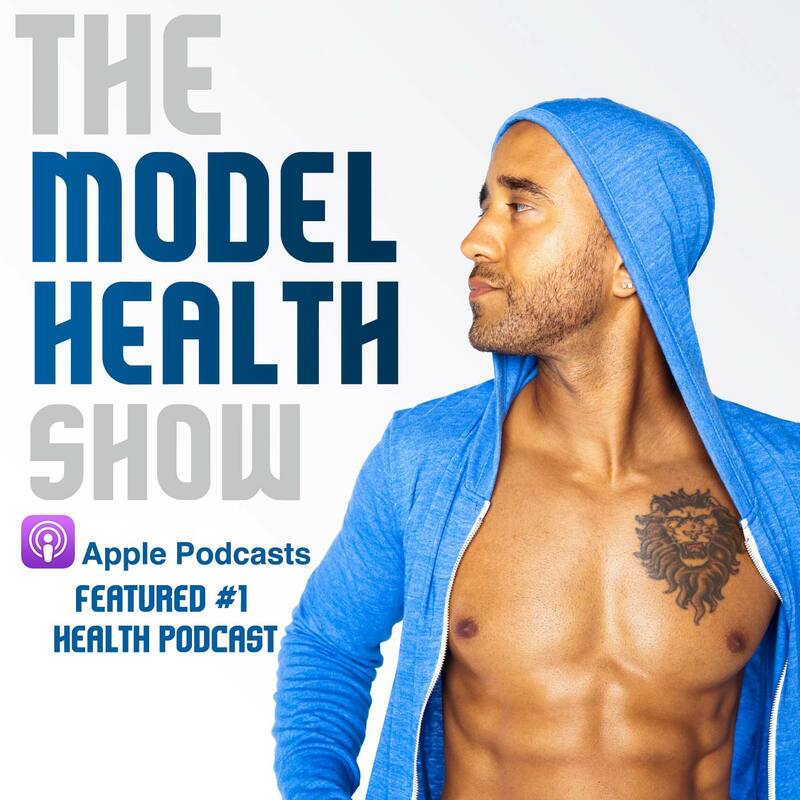 Now we cannot have a conversation about the brain and about all of this stuff without understanding just a little glimpse- this is The Model Health Show. It's an overall approach. Nutrition, alright? Food has a big impact, alright? The things that we're taking into our bodies can straight up kill brain cells, or it can also nourish and replenish these brain cells. You know what? I just thought about something. When I was a kid, you know I just recently- I was out on the road, and I saw in a store, they don't just have Rice Krispy Treats. They have Lucky Charms Treats. Alright? I've never seen anything like it. I was attracted to it. I was like, "Oh that's real." Like I would have been all over that. You know? Thank the heavens, thank my lucky stars that that's not my life and I can identify like, "Wait that's actually not real." Right? This is not even real. But I'll tell you what, that kind of primitive pattern, this is why it's there, I have emotions stored from the experience of eating Lucky Charms, and it's still there. But I've created stronger wiring connections, synaptic connections, and myelin laid down for healthier behaviors and actions that just so happen to bring me joy and pleasure as well, you know? Those are stronger than those so I can identify and see the emotion and be like, "Oh." And I'm not going to walk over and grab one of those bad boys and throw them down the good old food tube, alright? And by the way, we poured sugar - a lot of sugar - on top of that. We didn't just eat the Rice Krispies, and so when you scoop up a bite of the Krispies, you scoop up a nice amount of sugar. You could see it was kind of wet sugar powder on your spoon and you put it down. But then the Rice Krispy Treats come along, it was just like- wow, that's love in a little sticky marshmallowy square. And so what made me laugh is I thought about when there was a Rice Krispy Treat cereal that came out. It's getting out of hand, alright? I was in eighth grade, alright? I was in eighth grade when they came out, I remember this so much because when the cereal first came out they were sending samples in the mail. Little tiny cereal boxes in your mailbox. And so guess what the Stevensons did? We went to everybody's mailbox and we took their Rice Krispy Treat cereal. I've got a picture of my bedroom just a corner filled with tiny sample boxes. I'm not proud of this, alright? I'm not proud, but I thought I could share this here amongst us, you know? Family. And so I went ham on that Rice Krispy Treat cereal, and we can just call it the Great American Rice Krispy Treat Cereal Caper, alright? It still wasn't solved until today, alright? Nobody ever figured it out. They might have came, "Why didn't I get my Rice Krispy Treat cereal?" The Stevensons did it. But so that's killing brain cells. The bottom line, that kind of stuff kills brain cells. What can we do to encourage the development of healthy brain cells? Obviously real food, but there's also one particular substance, a medicinal mushroom, that's been around for thousands of years utilized in various forms of medicine. Now today we have real clinical data to affirm its efficacy. University of Malaya found that lion's mane mushroom is one of the only things ever discovered that can actually create- create new brain cells. This is a process called neurogenesis, alright? The development and creation of new brain cells directly. Not like food goes through a process and eventually becomes this, but like directly increases neurogenesis. We need to know about this stuff, specifically what they were studying it for and seeing the efficacy, the value that it has for studying folks who've had traumatic brain injuries and seeing yes, in fact this is a solution. Alright? But this is something that's just associated with a better brain, you know? Better memory, focus, all the good stuff that we're really looking for. And talking about emotional intelligence today, I thought there was nothing better than to highlight this. And I use the lion's mane from Four Sigmatic, and you guys should know this already, it's because it's dual extracted. So they're using a hot water extract and an alcohol extract to actually get all of the different array of nutrients out of the mushroom that would not be accessible using just one extraction method. Alright? I love it. Today I had it, and for me- you can get the lion's mane elixir by itself, which I used to be on that big time until I started doing the lion's mane coffee. Alright? They've got the lion's mane coffee. It is so amazing. Organic- organic, high quality coffee so you're not getting a piping hot cup of pesticides to start your day. Man, I mean we're starting our day- again, folks are still eating the Rice Krispies, alright? We can get onto a whole different thing. And it starts for me, I love to start my day- and this is what I do pretty much every day. Sometimes I'll change it up and maybe do the chai, you know? The mushroom chai, which is amazing by the way. But I really love my mushroom coffees from Four Sigmatic. And so head over to www.FourSigmatic.com/model. That's www.FourSigmatic.com/model, 15% off all of their mushroom elixirs, mushroom coffees, mushroom hot cocoas. Get this good stuff into your body and treat your brain right, alright? www.FourSigmatic.com/model for 15% off, and now let's get to the iTunes review of the week. ITunes Review: Another five-star review titled, 'Professional Mentor,' by ASchlept. "I became a sleep consultant in 2016. 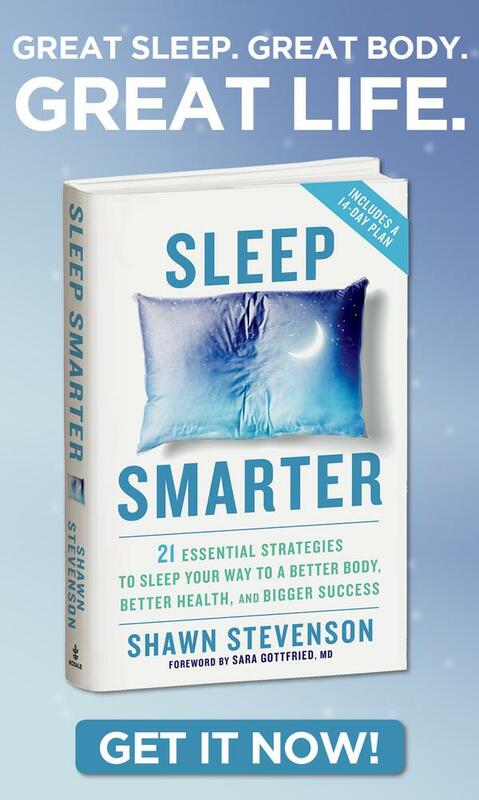 I dove deep into the science of sleep and came across Shawn's book, 'Sleep Smarter,' and then The Model Health Show. I immediately fell in love with his knowledge, and more importantly, his ability to deliver the content in such a basic way. Coming from a medical background, I am always wanting more scientific meat, and Shawn provides the entire T-bone steak. I aspire to be as much of a sleep guru to my clients as you have been for me. Thanks for all you do." Shawn Stevenson: I love that so much. That put a smile on my face. Thank you so much for taking the time to share that and leaving me that review over on iTunes. Man, that just means everything. 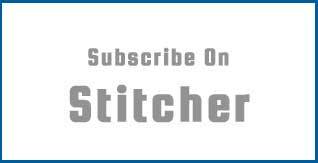 And guys, if you've yet to do so, please pop over to iTunes / Apple Podcasts, leave a review for the show. I appreciate it so very much. And on that note, let's get into it, guys. Listen, we're talking about emotional intelligence. You know, but before we do, I really want to highlight something important, which is the necessity for us to get ourselves in the environment. We need to get immersed. If we really want to transform our lives, we have to get outside of our little teeny little comfort zone that we like to find ourselves in, which again, it's all good to have that comfort zone, but if we're going to grow, we need to step ourselves outside of that and put some things in front of us that help to up-level us. Now our success, a large part of that, is the day-to-day things we do. You know? Success is a big part of ritual, of habit, for sure that changes your brain. What's said is that nerves that fire together wire together, right? So we're laying down more connection in our brain, more myelin to insulate those things, but another thing that changes our brain, because our brain is what determines whether or not we do the action of eating the foods, of exercising, of operating a certain way in our relationships, of being productive, of staying focused, of taking care, whatever it might be, we need to take care of our minds and consciously create that change. And so part of that is habit, the other part that can change your mind, change your brain, is an emotionally charged event. Right? This is why negative experiences tend to stick around, or the most positive, beautiful things in our lives tend to stick around. But for me, something that I've made a practice in my life because I saw the impact. The creation of The Model Health Show itself came as a result of getting myself into a different environment and attending a live event. Alright? That idea was sparked then, and it led- and I can say with confidence, this might not even exist had I not said yes and stepped up to just get myself in the environment and get immersed in that atmosphere of greatness. You know? And just really changing my paradigm by being a part of certain events over the years. And so something that I'm very passionate about is helping to create that same experience for other people. To create an atmosphere where they can have their lives transformed from that day forward, whether it's in their relationships, in their finances, in their health, and this is why I'm so very excited. San Francisco, it's going down. Alright? August 26th, it's coming up here really soon, come for the Take Control Conference. And you're going to get the opportunity to be in the environment and to hang out with Dr. Eric Thomas, AKA ET, who is by far the greatest speaker on the planet. I mean I've been around E for a couple years, and I've seen him in so many different contexts, and I cannot even put to words how powerful it's going to be for you when he comes to this event. And the rest of our team is going to be there as well, I'm going to be rocking the mic and talking about taking control of your health and fitness. We're going to be talking about financial success, success in your career, relationships; it's going to be incredible. Alright? So take action, put the excuses to bed. Do what you have to do to come to this event because these are these kind of once in a lifetime opportunities, alright? Something really special is going to take place here in San Francisco, alright? So August 26th, get your ticket right now at www.TakeControlWithET.com. Alright? So www.TakeControlWithET.com. Use the code, it's a promotional code 'HEALTH.' It's exclusive, nobody else has a promotional code. The promotional code 'HEALTH,' you're going to get 10% off your ticket, alright? And I can't wait to see you there, so get your ticket right now. You can pause this, come back. Get your ticket and I'll see you there. And on that note, let's get to our topic of the day. Now this topic of emotional intelligence is very special to me because it changed my life. It definitely changed my life. It changed the direction of things and who I am and how I show up in the world. And my experience of happiness as well, and my experience of success, and my life took a huge shift, and this was about ten years ago when I stumbled upon some research about something called emotional intelligence. And for me, when I first heard it I was like- it didn't even sound right. It sounded- emotional intelligence. Emotional intelligence. These don't even seem like they go together. It seems like they're opposites or like an oxymoron, right? Like Icy Hot. Right? And come to find out it's this growing field of science that just had some profound impacts, and I was able to really get connected, and I was drawn to the concept. It sounded so crazy and I just became attracted to finding out more about it. And it was through a lecture with one of my great teachers and mentor, Dr. Daniel Goleman, who I've had the great fortune of having on the show. And he's been on Oprah, and just like all of these incredible places all over the world, and I had him here for us. And I'll put that episode in the show notes. It was an audio episode from awhile back, but man, incredibly powerful. And so he's the one who implanted the concept. He introduced me to the concept of emotional intelligence, and wow, just kind of a snowball effect took place from there. So let's start with what is emotional intelligence? Well put simply, EQ, which is different from IQ, this is kind of like intelligence quotient, we've got emotional intelligence quotient. Your EQ, your emotional intelligence, is defined as an individual's ability to identify, evaluate, control, and express emotions, and to influence and understand those things in other people. That's an important part as well, to influence and understand those things in other people. So let's break this down. Identify. So to be able to identify emotions, so you can see the emotions that may be operating just beneath the surface of your conscious mind, and so that you can notice them and notice when your emotions change because these are indicators. The emotions are like the wind blowing in a way. Like they can change at any moment, and so you can become adept enough to identify those emotional shifts within yourself. That's number one. Evaluate. So you can actually see what is this emotion trying to tell me? Is it true? Is it accurate? And from there, we move onto control. So whether or not this emotion is something that you want to feel? Is it appropriate? Is this something that's accurate? Is this something that I need to make a shift in? You become aware of this whole process and you can begin to control your emotions, right? This is something we say to people, "You need to control your emotions." Right? That's like a setup to get punched. You don't say that. But this something that we of course all need to learn how to do and to develop this capacity. It's like building a muscle because if our emotions are controlling us in a sense, our lives can go haywire. We can make some really, really bad decisions. Sometimes they could be good decisions, but a lot of times if the emotions are running the show and not having that blending of the conscious mind and conscious emotions, things can get run off the track. So control. And then from there, express. And so to bring this back full circle, the identify, evaluate, control, express. This reminds me of a statement that I heard from Eric Thomas when he said it's not what you don't know that's killing you, it's what you do know that's killing you. It's not what you don't know. So we think that if we just get this information that we're missing something, right? There's this lack of knowledge that's creating this lack of power. But in reality, what's really handcuffing us is what we do know, what we believe about our lives, and who we are, and what we're capable of that have us in chains, that have us locked down, that are controlling our lives. You know, this belief in things that just aren't true, right? This belief that, you know, anger is just what I do. It's the catalyst, it's the control of my life. I'm an angry person. But this is a subconscious or even an unconscious pattern for a lot of us, and so a lot of times- and again, all of our emotions have value. Let me make this clear. But if this one 'negative' emotion is controlling the majority, it's what we jump to when under pressure or conflict, we're going to have a tendency to fail. We're going to have a tendency to lose and have these- what we talked about earlier, your emotions controlling you, and you not controlling the emotion. Alright, so it's not what you don't know that's killing you, it's what you do know that's killing you, right? These faulty beliefs and belief systems that are controlling our lives, and we need to look at, analyze them, and start to pull out those weeds, right? And to clean up that garden of our minds. And so what he talked about was- and he just had so much incredible research, that having a high emotional intelligence is a greater predictor of career success than having a high IQ, and this was seen consistently over and over and over again in the research. Dr. Goleman's research found that emotional intelligence is about twice as indicative of success in careers than IQ. Alright? So EQ is twice as indicative of success than your IQ. Nuts. Alright? That's bananas in pajamas right there. Alright? If all things are equal, emotional intelligence is that tie breaker by far. In fact- so let's look at some of this data. 2015 study found that EQ is the strongest predictor of work performance accounting for about 58% of success in all fields. This was conducted by Talent Smart, by the way. Alright? That's nuts. 58% of success? Again, bananas in jammies right there. Rutgers University published a paper in 1999 citing- this was a nineteen point case, so just compiling all of this different data. For businesses to pay greater attention to emotional intelligence. Here's one example they found. They followed the hiring of sales agents for L’Oréal on the basis of certain emotional competencies. These agents outsold other sales people by over $91,000 for a net revenue increase of $2,558,360. And if that weren't enough, the high EQ employees had 63% less turnover during the first year than those who were selected in the typical manner, alright? So the EQ folks, they stuck around, did the job, made a lot more money. It's remarkable. Now just to put in parentheses, the good news is that unlike your IQ, which is considered to be relatively static, it's well-noted that your EQ can change. It can dramatically be improved, and that's what we're going to talk about today. Ten ways to increase your emotional intelligence, and as you see, this is the biggest factor in success in our careers. We're also going to talk about health and wellness, and obviously relationships as well. Another one, one more, a separate study, a national insurance company found that sales agents who were weak in emotional competencies such as self-confidence, initiative, and empathy, sold policies with an average premium of $54,000. That doesn't sound too bad, right? Well agents who scored high in a majority of these emotional competencies, who had greater emotional intelligence, sold policies worth an average of $114,000. What? That's over twice as much. And this is- you see these parallels over and over and over again, and this is what's so fascinating about this. Actually, let's share another. This was published in the International Journal of Management, and this is for students, looking at students on this one. Managerial students having higher emotional intelligence showed very effective decision-making while the managerial students with low emotional intelligence were found to be ineffective in their decision-making, alright? So they were looking at these different projects that they were doing. So this highlights this concept that it's not just for students, but all of us, of doing work versus being effective. These are two totally different things. We can all say, "I'm putting in my forty, I'm putting in my eight hours," but is the work that you're doing getting the result? There's a difference between doing work and being effective. Great people, successful people in their careers are getting stuff done, right? They're being effective in what they're doing. They might accomplish more in two hours than somebody does in eight or ten hours, and they're bragging and telling like, "I put in my time." It's not about that. You know? It's about getting the result. And so it's a change in our thinking, and we see more effective decision-making so we're not wasting time, not doing things that we've got to go back and try to clean up, by developing our emotional intelligence. Now one other thing I want to talk about before we get into these ten strategies is in relationship to nutrition, and diet, and the whole concept of weight loss. There's this term called 'emotional eating.' Our emotions control so much that have to do with our selection of food, our consuming of that food, our enjoyment, our noticing of fulfillment or 'fullness.' Our emotions play a lot in that whole situation whether we realize it or not. So studies show that nearly two of three people who lose 5% of their total weight gain it back, and the more weight you lose, the less chances of keeping it off. Now that's pretty disheartening information, but this is coupled with- and this is Diane Robinson, PhD, neuropsychologist. She says that this is not surprising, and she's found that most people focus almost entirely on the physical aspects of weight loss like diet and exercise. But there's an emotional component heavily involved in food that the vast majority of people simply overlook, and they can quickly sabotage their efforts. And what she found in her research was that 90% of people overlook how much their emotions control their weight loss efforts. This has to do with impulse control, right? Being able to notice and evaluate these emotions. Empathy. Empathy is a huge part because it's not just empathy for other people, it's empathy for ourselves. But experiencing that connection to other people as well. Stress tolerance, that has to do with our emotions. Emotional awareness and emotional expression are all things that she looked at in her data. And these were things that people just didn't think about. They were so focused on getting to the gym, or doing the workout, you're supposed to eat this way, and not taking their emotions into account, and that's setting us up for a lot of failure and struggle. And so today, again, I want to help to provide some value and some insights to build this emotional intelligence, to put you more in control of your experience with your health and fitness, also your relationships, and your career as well. 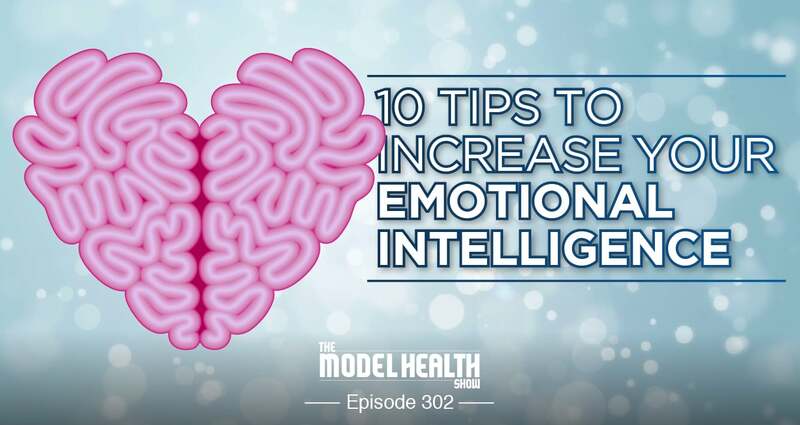 And so on that note, let's dive in and talk about these incredible ten strategies and some of the science behind this for increasing your emotional intelligence. So number one- take notes, this stuff is really interesting. A lot of these are like, "What? Really? That's incredible." Number one here on these ten different strategies and tips for increasing your emotional intelligence, your EQ, is to read more fiction. Read more fiction. Now this effect is probably because novels, short stories, unlike nonfiction, gets inside of the heads in a way, right? Of multiple characters, helping to- like we come up with this stuff ourselves just from reading the words on the page. Their motivations for an objective, and this is like from an omniscient viewpoint, right? This kind of omnipresent viewpoint, you're seeing all of this stuff. Like if you're getting into like the Game of Thrones books, and the Harry Potter, like the whole universe, you start to have these feelings and understanding about all of these different characters. So this develops that muscle, and for me personally, this was huge because there was a time that I just stopped- I just was not a fan of fiction. Like I just stopped, and it was because I just didn't feel it was productive. You know? I wanted to learn about food, give me the next nutrition book, the next book on human physiology, like just I want to consume that information, and things like this really changed me. Reading fiction, again, helped to open up creative faculties that I didn't know were closed in a way, you know? Changed my thinking, changing- shifting over what's even happening kind of with my nervous system rather than just kind of being on and hyper focused all the time. But it just opened up and changed the way that my brain was working. So this is a strategy, a tip. If you're like I used to be in thinking that reading fiction is just not productive, maybe this might be something to consider and to add into your repertoire. So this is one way that we see proven to increase your EQ. Alright so let's move on to number two on our list. So number two is to play games. Alright? Play games. Now this is something that you can do to practice something called cognitive control. Alright? Cognitive control where it trains your brain to focus, which includes the ability to focus on you. Developing that ability to focus and to focus and become more aware of yourself, and aware of how you feel, and also being more aware of the emotions of other people. Cognitive control plays a central role in mental skills ranging from plain concentration and focus like on your homework, for example, and not texting, to calming down after you get upset. You know? So again, having that cognitive control to have that feeling when you're upset, but to be able to tune it down if you need to. You know? Because a lot of times we feel like it's just not a decision. Like, "I just feel upset, I'm upset." See? There was a song, it's Drake. But anyways, you just feel upset and it's just it is what it is. But it is what it isn't or isn't what it is. And the reality is we have so much control and dominion over these things if we become aware of it. Right? And so a study published in 2011 tracked 1,000 children in New Zealand after rigorously testing them in elementary school for cognitive control. By their early thirties, their ability to manage attention predicted their financial success and their health better than did their IQ or wealth of their family origin. So it wasn't their conditions, it wasn't their IQ, it was their ability to control this kind of- have this cognitive control, right? And so for toddlers, playing games like Simon Says, or Musical Chairs is some of the things seeing some implementation, in which they win by paying close attention works this mental muscle. So reading a story, same thing what we just talked about, does the same thing. And so this is what they found in the research using these tools, playing close attention in games. For adults, we're just big babies. We're big adult babies. Alright? Playing games that need speed and attention, alright? Same thing as adults, doing the same thing and proactively doing this, putting ourselves in a position to enjoy. Like have a good time but also getting some of the benefits that come along with that. There are so many games you can play that incorporate that. Something with a buzzer, right? It could be BuzzWord, it could be CatchPhrase, Family Feud. The Feud! Right? The Feud is popping right now. And also you can have the occasion where some crazy stuff is going to get said as well, like the Celebrity Family Feud episode with the one and only Snoop Dogg. Pie in the horse. In the horse, Snoop. Listen, some funny things are going to take place. It's a good experience to get everybody together, to compete, but also this trains that need for speed and attention. See, his attention was a little bit off there, alright? For whatever reason, you might know his history. I don't know. But that just came out. But also this experience of playing games with other people, you develop the emotional intelligence to- and this is something you work on, to accurately pay attention to the patterns and strengths of those around you. That's what good leaders do, right? So being able to develop that muscle as well. Okay, and again, they mentioned in the study that reading, you get a lot of these same benefits, reading fiction. Alright so let's move on. So we've got number three on our list here of ten very powerful ways that we can use to help to increase our emotional intelligence. Number three on our list is meditation. Alright? Meditation. Meditation is hot right now, alright? Not just yoga studios- first it was the gyms, then yoga studios, now meditation studios popping up everywhere because it gets results. The science is incredibly sound. So one of the things we see with meditation, it's been found to actually grow or also support the- because a lot of research indicates as you age, your brain- you lose some, alright? And your brain can actually get smaller, but it supports your brain mass, and gray matter, and things like that sticking around longer. So growing the region in the brain responsible for focus and attention specifically, meditation has been found to do that. And so listen to this, this is from my book, 'Sleep Smarter,' in talking about meditation. A study published in the journey 'Brain Research Bulletin,' researchers discovered that people trained to meditate over an eight week period were better able to control a specific type of brain wave called alpha rhythms. Lead researcher in the paper, MIT neuroscientist, Christopher Moore, PhD, stated, 'These activity patterns are thought to minimize distractions, to diminish the likelihood stimuli will grab your attention. So could you use more focus in your life right now? Would being less distracted be something that's helpful for you? If you're like most people, then focus is a huge issue. Our ability to focus and get things done is a big component of overall success. Meditation literally changes your brain, enables you to utilize your ability to focus like nothing else can. Not in an, 'Oh that sounds nice' kind of way, but by actually changing the way your brain grows and operates. After eight weeks, compared to the control group, the subjects who had been trained in meditation showed larger changes in the size - which is the amplitude - of their alpha waves when asked to focus on one specific thing. Essentially, their focus was stronger and deeper than at the beginning of the study. Researchers at Harvard Medical School have also found that meditation alters the structure of your brain, thickening the regions associated with attention and sensory processing. So again, that's from my book 'Sleep Smarter.' The science is in, meditation is valuable for developing your mental capacity, but specifically we're talking about for emotional intelligence. So it's- for me, when I began meditating, thanks to my mother-in-law teaching me meditation, she's been a meditation teacher for many decades. And I came into it kind of- I'm just like, "What is this?" You know? But I also took action, because she really spoke to the more analytical part of me in saying, "Okay so when you do this, then this is going to happen," and I was just like, "Okay." I suspended disbelief and I did it. And the very first meditation that I did, a change took place. I realized that I had never really had a conscious thought in my life in a way. So hear me out. In a sense, I woke up, and I realized that this voice in my head that I can actually hear the voice, there's a presence listening to this banter going on that I didn't know existed before. I just thought the banter was me. I thought the stuff going on in my mind was me. And I was in a sense kind of imprisoned. I was kind of controlled by this because your mind is a great and powerful tool but is not a very good master. And I realized, once I had that connection- or should I say disconnection, in a way, take place, I realized that I can analyze what this voice is saying, what this data that's coming across the screen of my mind is saying and decide whether or not I wanted it, or whether or not it's true. You know? So that process of really becoming aware that I'm aware changed everything, and meditation is a huge key for that, you know? But it doesn't have to be through meditation, it can even happen in this moment. It could have happened just even hearing this, what I'm talking about. But it's a practice that started to change and integrate my life in a very, very beautiful way, and I'm very grateful for that. So also, the ability to observe. That's what really meditation cultivates so you can begin to have an observer perspective, and you can observe yourself, and also have a different observation in others, and see where they might be in relationship to their emotions as well. Another thing found with meditation is that when you get upset, you recover more quickly. This is really the definition of resiliency as well, and it's something we talked about with Daniel Goleman when he was on the show. So again, meditation is a proven tool for increasing your emotional intelligence. It really creates that space. It creates a space where you could be better able to acknowledge and understand your emotions and to be better able and better equipped to change them and to modulate them when necessary. So now let's move on to number four on this list, and this is a great segue because number four is to make sure you're sleeping smarter, alright? Make sure you're sleeping smarter. Sleep deprivation kicks your emotional intelligence right in the metaphorical gonads, alright? One study tracked relationship and sleep behavior over the course of two weeks. What they found was that the worst people slept, the more they reported fighting with their partner the following day. Okay? Directly connected. This is not emotional intelligence, it's a direct correlation because what we're happening is going from the neocortex to the limbic brain to the basal ganglia, right? We start having these different parts of the brain taking over, and what we call hijacking- an amygdala hijack can take place, and this is very emotional, this is very concerned about survival of self. That part of your brain starts taking over. In fact, what researchers found in UC Berkeley, they did brain scans, they did brain imaging scans and looked at the sleep deprived brain, and they saw that the parts of the brain associated with focus, with decision making, with social control, with distinguishing between right and wrong; that part of the brain goes cold. It starts to become radically less active. Coupled with, they saw this incredibly heightened activity in the amygdala, alright? And so it's part of the limbic brain, getting very emotional, and it tends to focus more on the negative. It tends to be more associated with negative emotions, and analyzing your environment for those because they can be valuable. So it's more looking for a threat, if that makes sense. So if you're more looking for a threat, pretty easy to find one in your significant other. Alright? So this is what people were seeing. There's this concept out there, everybody knows it now, 'hangry.' Right? Hungry and angry. I implanted in 'Sleep Smarter,' bringing this to culture, this word, 'tangry.' Alright? I'm not talking about Tang, the delicious malt liquor like children's drink Tang, I'm talking about tired and angry, alright? Tired and angry, tangry. And this is something we can fall into and be very unaware of this. So Matthew Walker, neuroscientist at the University of California Berkeley, and his colleagues had twenty-six healthy volunteers either get normal sleep or get sleep deprived, making them stay awake for roughly thirty-five hours. Here's what they found. The researchers scanned the volunteers using FMRI, and the volunteers viewed 100 images starting off with emotionally neutral, stuff like spoons and photos of baskets, and then it became increasingly negative over time in tone. So pictures of attacking vipers, and snakes, and sharks, and things like that. And so the lead researcher said, "While we predicted that the emotional centers of the brain could overreact to sleep deprivation, we did not predict they'd overreact as much as they did." They became 60% more reactive to negative stimuli, and that is a crazy increase. And he said, "The emotional parts of the brain just seemed to run amuck," alright? It just becomes more reactive to emotional stimuli - negative stimuli - when you're sleep deprived. So making sure we're optimizing our sleep is a huge key in making sure that we are putting our emotional intelligence pants on, and being able to be empowered, alright? So keep this in mind, and also by the way, research indicated that it was more difficult to recover as well. So even though somebody might have an emotional reaction, when they're well-rested, they can recover faster. The sleep deprivation makes it more difficult to come to a resolution and get back to homeostasis. Alright, so with that said, what's the big thing that's taking us down today? There's a couple, but one of the biggest things that we've never experienced before in history is our interaction with our technology. You know, we've got these incredible devices, I absolutely love- all of us do. They allow us to have experiences like this, but they have to be put in the proper perspective. Laptops, computers, desktops, your television, smartphones, tablets; if we're on these devices at night, Harvard researchers have confirmed that the light spectrum coming from our devices is sending signals to your brain, telling your brain essentially that it's daytime, and it directly triggers your brain to produce more daytime hormones, namely cortisol. So it's increasing the stress hormone production at night, and they found that that was coupled with a suppression of what should be produced at night with the dark exposure in a cyclical pattern, which is melatonin. That gets suppressed to the degree- here's what the researchers found. Every hour you're on your device at night suppresses melatonin for thirty minutes. One hour on your device, thirty minutes suppressed melatonin. 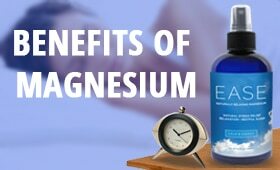 So you can go to sleep by being physiologically exhausted, but melatonin is like a gearshift and control with your circadian timing and helping your brain to go through sleep stages normally to recover you and bring you back better. So you're not even producing that hormone adequately to get great sleep. So you might sleep for eight or nine hours and still wake up feeling like a dirty, sweaty, nasty hoodie that- like I'm thinking about- because my son left a hoodie after practice. Why are you practicing in a hoodie? It's ninety degrees- anyways. But you wake up feeling like that. We need to be aware, alright? So what do we do? Of course a screen curfew would be amazing at night, but let's be real, we're going to want to stay up sometimes and watch a movie. We're going to want to stay up sometimes and hang out with your family, maybe play a game. We're going to want to hang out, maybe we've got work to do. So what I use, of course there's great apps and things for your devices. iPhone has the Night Shift now, but the research is kind of a little bit questionable on whether or not they really work. And so for me, I really want to have things that have some viability, you know? Some clinically proven benefit. Of course anecdotally, a lot of stuff is going to have some efficacy, and that's amazing, but let's get a little bit more science and data so that we can see if the greatest number of people can benefit from it. And so this is why I use blue light blocking glasses. Blue light blocking shades that I put on at night, you know? And I've been utilizing- I've tried so many, you know? This was half a decade ago, and I was like buying these random glasses, and just looking like a straight up nut. Like I looked like the crazy shop teacher, you know, at night. When people come to my house, they're like, "What are you doing, Shawn? Are you building a stool? What is going on? You building a chest? A jewelry box?" No, I was just trying to not have this blue light issue. The technology has evolved and also the style. Now I rocks Swannies. I've been wearing the Swannies for years, and also we have some data to back up the fact that they work to eliminate and block out that blue light spectrum and help to improve sleep. Dozens of study participants tracked over 600 nights of sleep collectively, and here's what they found by wearing Swannies at night. Objective testing found that study participants who wore Swannies blue light blocking glasses at night had statistically significant improvements in metrics related to deep sleep. They had more deep sleep, a higher percentage of deep anabolic sleep where you're producing human growth hormone, a lot of reparative enzymes and anabolic- just an anabolic state. What? That is incredible. Absolutely incredible. And then subjective tests were off the charts. They found 33% increased sleepiness at bedtime, eleven minutes less time to fall asleep on average, reduced amount of time spent awake during the night, reduced by twenty-four minutes on average, improved ability to sleep through the night went up by 34%, overall sleep quality improved by 36%. It's just amazing. So I'm a huge fan of Swannies. Get yours. Get your Swannies today. Head over to www.SwanwickSleep.com/model. That's www.www.SwanwickSleep.com/model. Use the checkout code 'SLEEPSMARTER' together as one word, and you're going to get 5% off any and all frames. Alright? When the sun goes on, my Swannies come on, and I know consistently that this does in fact help me to- number one, feeling sleepier in the evening, and to fall asleep faster, and to sleep better. Alright? It just does, you know? Especially if you're watching television, that kind of thing, get yourself some Swannies, alright? Give yourself that little bit of a buffer of protection from our devices, alright? And on that same note, with our influence and interaction with our technology, is to trade some social media time - this is number five on our list here - trade some social media time for some actual social time. This can increase your emotional intelligence. This should not come as a big shock, alright? Social media tends to numb us from the real response that people have in communication. It's just very difficult to be able to pull that data in. And many people can say and do things that would not be feasible in the real world as well in relationships. So you know we've got Internet gangsters out here. They're doing drive-bys, they're just trolling, alright? They're doing- it's like a car full of troll market. Like folks from troll market on the troll hunter, alright? It's just deep, and they're out here, Internet gangsters saying crazy stuff. This doesn't- you can't really pick up and analyze data. Some of this stuff can get us upset, but this isn't real. You know? For a nice percentage of it. Of course super valuable for connection, absolutely, but we need more not just social media time but real social time as well to keep us balanced in our perspective. Also it's important because we can pay attention to the cues of understanding that simply don't exist, even non-verbal cues. So keep that all in mind. Are you taking action to get yourself some social time? And when you do, here's a little tip, keep your phone in the car, you know? If like you're going in to have dinner with family and friends, you know? Just keep your device- if you're sitting down to hang out with somebody, put your phone to the side, you know? Maybe turn the ringer off for a little while, it can bring you a lot of benefit. Now this compiled the data of 599 college students with various levels of physical activity and found a direct correlation between the amount of physical activity one does and their level of emotional intelligence. Mind blowing. Physical activity, you become more aware. It's one of those things that increases your awareness of self, you know? Of your body, of self. Proprioception, right? Understanding and being aware of your body in space. It's one of those things that it really helps to develop. So my recommendation here is obviously we want to be active, but also do some work on your proprioception. You know? So things like box jumps, working on your balance, that kind of thing where you're becoming more body aware. Alright so that's number six. Moving on, number seven on our list of ten ways to increase your emotional intelligence, number seven is to practice delayed gratification. Practice delayed gratification. This is something that is- more than ever we have instant- like we want it, alright? We don't want one episode. Give me all of it. This is a Netflix generation right here. I could not believe the first time when I saw that all the episodes- because I knew that this show was coming out. The first season had come out, I watched it but it was later than everybody else. The new season came out, I thought there would be one episode. I went and I was like, "Babe, there's thirteen!" All, we want all. There's no delayed gratification. But this can really gum us up because we think everything is so temporary. Everything is so right now, and there- in a way there is no future. We do- of course like there's talk of living in the now, being in the present, but this is why humans have the faculty of foresight, of being able to forecast what's going to come in the future, because the future is inevitable as well. So we want to have a balance of those things, if that makes sense. And so what this develops in you, is you can analyze the bigger picture. When you have delayed gratification, that muscle builds, you can analyze like, "Do I want to stay up and watch this show and get this temporary pleasure and feel like that nasty, sweaty, holey hoodie tomorrow? Or do I just want to go ahead and- let me go ahead and turn in, get some good sleep, do a little journaling, wake up, crush my day, then watch the show after?" Right? We have that ability to forecast and see, "You know what? It's not temporary, we still have this opportunity." So that's one thing, analyzing the bigger picture. Also it helps to bring some rationality to an emotional situation, okay? Because a lot of times our decisions are based on emotions, and some- again as we're talking, our emotions can be a little bit confusing. And so we can- by having delayed gratification, we can see that emotion come up and be able to analyze like, "Is this true? Is this appropriate for right now?" Because what we want to be careful of doing is making long-term decisions because of a temporary emotion. That can quickly send our life into a bit of a problem, you know? So be careful of making long-term decisions because of temporary emotions, alright? So practicing delayed gratification. Alright, let's move on. Number eight. Number eight is to practice mindful eating. This is a new phenomenon, it's been talked about quite a bit, and we'll continue to dive in and talk about this. But psychologist Dr. Susan Albers talks about emotional eating saying this helps you to be more aware of hunger and fullness cues. So you're paying- you're actually present with your food, you're not distracted, you're not just caught up in your emotions about the food, you allow emotions to be present, but you're there, and you're present with your food. You're paying attention to you taking a bite, you're not just like throwing food in and it's gone. You're tuned in to how and why you're eating with emotional- this kind of emotional eating process and being more mindful instead and having mindful eating. Also you're using awareness for impulse control around pleasurable food, right? So when I saw the Lucky Charms treat, I had the impulse control because I've built the muscle, right? And it might have a sense of attraction, but I'm able to realize like, "Oh wait, that's not even real food. I don't want to feel terrible." You know? And because again, I've built that muscle, so this is something that we can all develop with mindful eating. Another thing is noticing how social interactions impact how much we eat and what we eat as well. These are all things that mindful eating can help to develop. Alright? So practicing mindful eating is something to do more research on, implement it in your life. I see a lot of people struggle with their health, with weight because of not being mindful when they're eating. Simple thing like that, just they start eating, and it's gone. Like they're not paying attention to the process, and actually here's the crazy thing, we get more joy out of the experience when we're paying attention and actually being mindful of the food we're eating. It's crazy. It's like- it's HD, alright? It's food in HD, alright? It's incredible. Alright so that is number eight, let's move on to number nine, and this one is pretty simple. This one is self-reflection. Alright? So practicing some self-reflection, and being able to self-assess. And so for me, what does this look like? This is understanding and paying attention to your innate emotions that are constantly getting broadcast, and when these emotions are coming up, using what I call centering questions. And so say you have an emotional response to something, and asking, "What is this experience trying to teach me?" Right? So maybe something happened that has you, "I'm upset," and you're like, "Okay, what gift is this trying to bring into my life?" Right? It might be a quality, it might be some form of capacity that you had been having dormant, right? Maybe it's a capacity of confidence, or strength, or perseverance. "What is this trying to teach me? What gift is this trying to bring into my life?" Alright? "What do I need to learn from this situation?" Because the emotions are trying to give you feedback to help you to adapt, alright? So self-reflection, practicing this, having those at the call when emotions are running hot, alright? And also journaling, that's another strategy you can utilize as well to get the stuff- the emotions out of your body in a sense and kind of on the paper, alright? We've got an episode we did on- some science behind journaling. We'll put that in the show notes for you. Alright, final one here. Final one on our list of ten ways to increase our emotional intelligence. Number ten is to observe others, alright? Observe others. We are all more alike than we are different, and in observing other people we can actually start to learn a great deal about ourselves and our own behaviors. And there's a program, Roots of Empathy, and they did this in schools, and teaching emotional intelligence in the classroom. And it ran in 2,400 schools in Canada, and teachers taught empathy through regular visits from a parent and a baby, and during each session, a trained facilitator guides the students' observations about the baby's feelings by helping them to recognize and name what different facial expressions or vocalizations might actually mean. Then the kids are coached to think about a time when they felt the same thing that the baby they analyzed them feeling, maybe it's scared, or frustrated, or sad, for example, and when children realized that all humans, even babies have these emotions, this sparked the beginning of great empathy, and this is according to this research. Not only that, but the students learned to empathize and it becomes harder for them to ignore the emotional signals and data coming from other people. It's incredibly valuable. You know? Just to take the time and pay attention to other people. We get so caught up in ourselves, we're so caught up in our own emotions and not having that emotional intelligence to have some sense of self and a sense of- that self-assessment and knowing one's self, and then we come into the world in the relationships, we're all like Tom and Jerry cartoon, just running around within ourselves, and then we get introduced to a SpongeBob cartoon in another person, and it's just- it's a mashup that shouldn't happen. Alright? So working on ourselves, but also paying attention to other people, observing, and paying attention to cues, vocal expressions, also nonverbal cues, just learning people. You know? Being somebody who is seeking first to understand, right? You know, that's what's said, seek first to understand and then to be understood, and that can bring a tremendous amount of power and grace and enlightenment to our lives. Alright? So pay attention, alright? Develop this emotional intelligence, put these things into place, and I hope you got a lot of value out of this episode. If you did, please share this out on social, you can share it out on Instagram, Twitter, Facebook, email it to somebody you care about, alright? You can share it right there in the app you're listening or watching on, and I appreciate you so much. We've got some incredible powerhouse episodes coming up, so be ready. Alright? Take care, have an amazing day, and I'll talk with you soon.